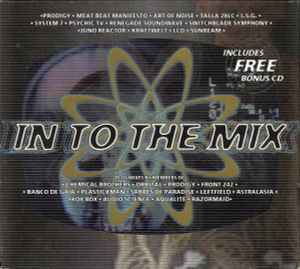 Remix – Front 242Written-By – Talla 2XLC, Vernon B.
CD2 is a free bonus CD. Track 1-5 is incorrectly (or dishonestly) labeled "Netherworld (Banco De Gaia Remix)" when it is in fact and edit of the original, probably the Vinyl Cut. This release is both available in digipak and jewel case with same cat #. Track 1-6: is an 'Alternate Edit' version of the 'Original' 12'' release and Re-Issue's. The piece is taken from: Track 03: _ Desir (Ghost Mix).